Christmas is always a nostalgic time of year. Maybe it’s because we try to uphold family traditions, or that we’re trying to slow down and reconnect with things that really matter. The best Christmas memories I have with my family is those spent with my grandparents, where there were dozens presents under the tree, every delicious dessert you can imagine, and there was always a round of Christmas caroling followed by cups of hot cocoa. So this year, I want to revive that tradition with my own family, even if we do sing somewhat off key. So I’m decking out the porch, which was the fun part. Decorating is always the fun part! To make it even more fun, Kirkland’s sent me a surprise box filled with goodies from their Glitz and Glam holiday collection from Christmasland. We’re no strangers to holiday parties around my house – my daughter hosts a cookie decorating sleep over every year and I host a cocktail party for my friends, too. 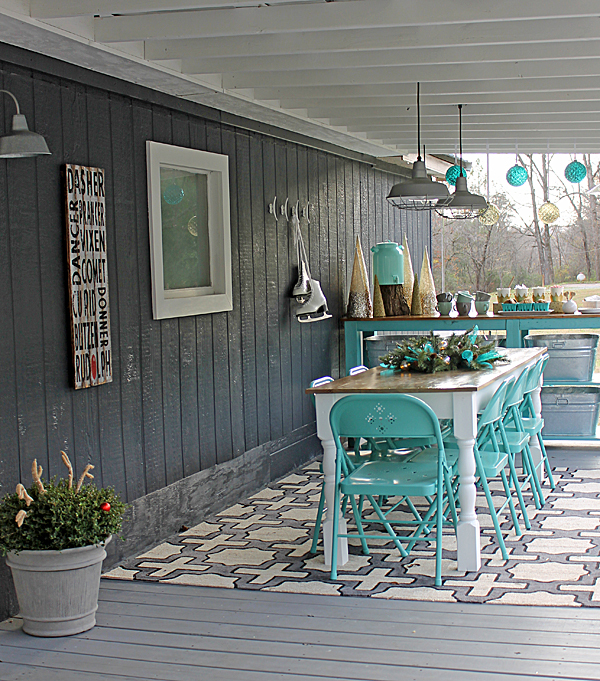 Since we just completed the back porch a couple of weeks ago, it’s nice to have the additional space for entertaining… even if it is somewhat chilly for hanging out too long. 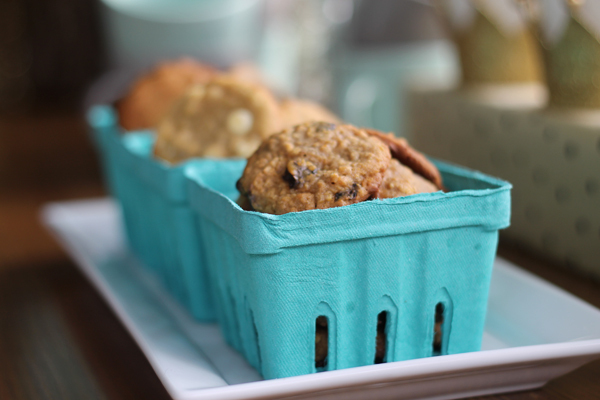 I’m a more laid back style of hostess, I like to put things together so nothing is too fussy. Because there’s nothing worse that having guests who are scared they’ll break something. Especially after a couple (or a dozen) cocktails. 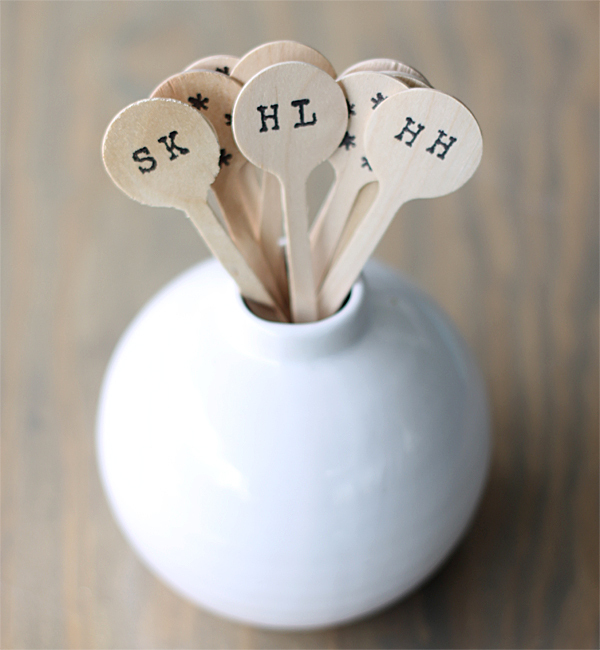 I did get a little crafty by making my guests some personalized stirrers, which was so simple but lets my friends know that I made space just for them. And of course, some yummy food is always in order. Cookies and cocoa are BFFs, ya know? 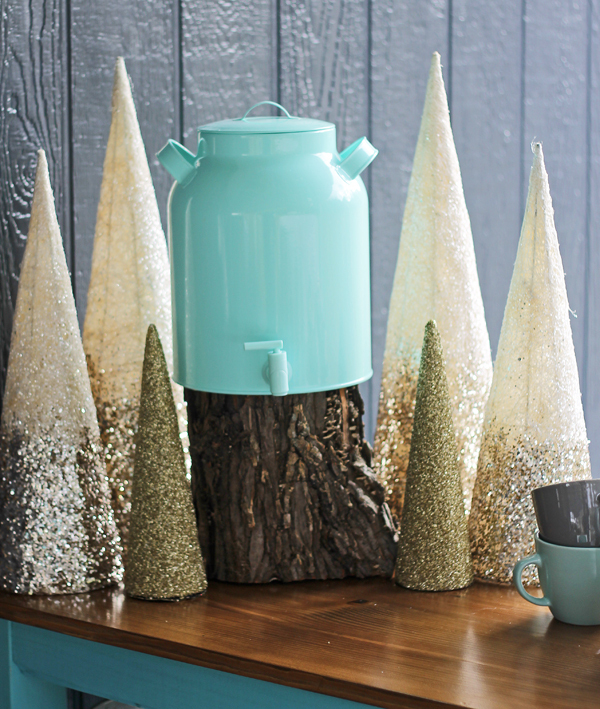 If you like this post, you might also enjoy these Christmas decorating ideas from…. Christmas Cocktails and Cocoa at Hi Sugarplum! Want to deck your own halls with some gorgeous decor from Kirkland’s? 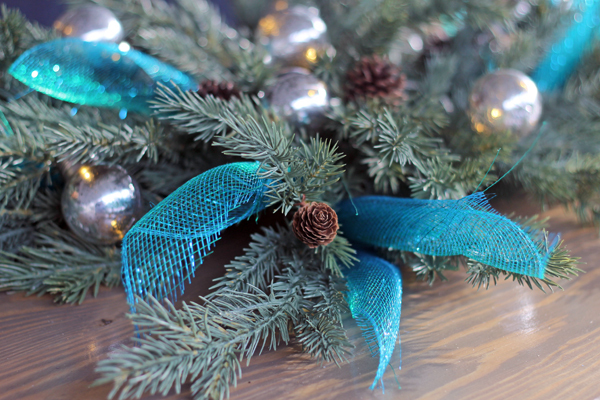 We’re giving away a $200 gift card to get your own Christmas decorating started! I love those glitter trees! But I also love pillows and they have so many cute ones. Did you see the turquoise seashell one? Love it!! I love this !!! I want to make my porch look like this. Thanks for the great ideas!!! I loved the plaid top hat! Kirkland opened up in our area about a yr. Ago since this time, I have been going there at least once a week. I especially love the staff they have along with of course all of the sents, furnishing, and other items. I truly love this store! Beautiful colors and what a fun Christmas collection! Anything close to a Tiffany Blue is a favorite for me! I love the unexpected color and twist on the traditional red and green. The fact that you can reuse this color for any season makes it very versatile and a four season in 1 decoration. The Tiffany blue is such a happy pop of color. Great job!! This is so awesome! My Mother and I shop here on a weekly basis.Always new stuff. Those glitter trees are just gorgeous! I hope more are available soon, they are sold out on line. But, I will keep checking. Great post. 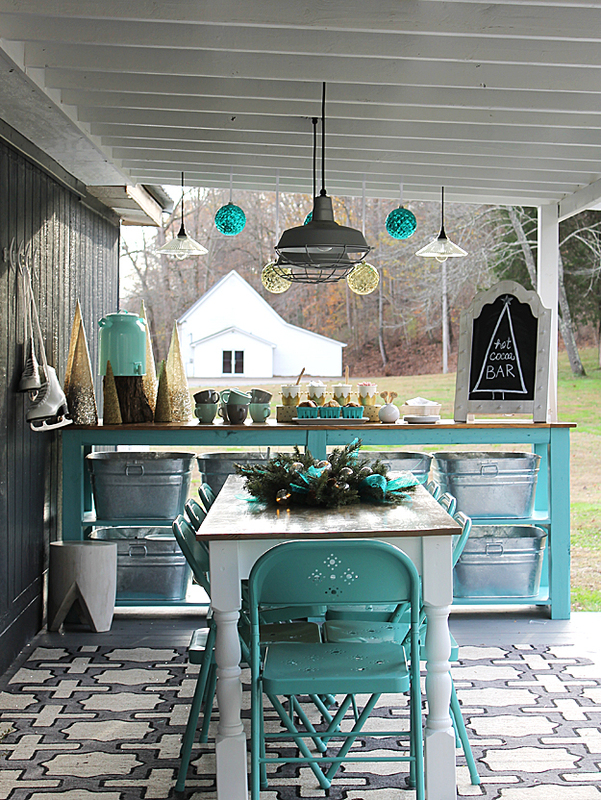 What a cute space I love the mix of non traditional Christmas colors. I’ve had my eye on this wood crate runner for a few days. Also, where did you get the stir straws and did you use a sharpie to personalize? Going today for more goodies for Christmas Event. If you are lost they always help you get it figured out! Gorgeous back porch, love the view. Your decorating style is delightful! I’ve been looking to update our Christmas stockings. I saw Kirkland’s monogrammed burlap stockings and think they are just adorable. Those will do the trick for our family of 6! Gina, there are so many cute details–what a great time you’re all going to have! I love the turquoise for Christmas. Hey Gina, I love your idea of “gift wrapping a 2 x 4! Thanks for the giveaway, and Happy Thanksgiving! Your porch looks beautiful! I love the color combos and all the glittery and sparkly decorations! 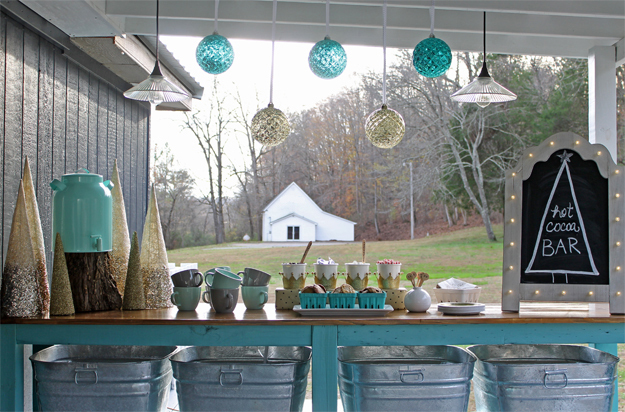 Love all the party storage you’ve incorporated with the big buffet and the buckets, just gorgeous! So wonderful..Love the color scheme. I love everything here Gina. The decorations and the food, all of it are perfect. Well done! 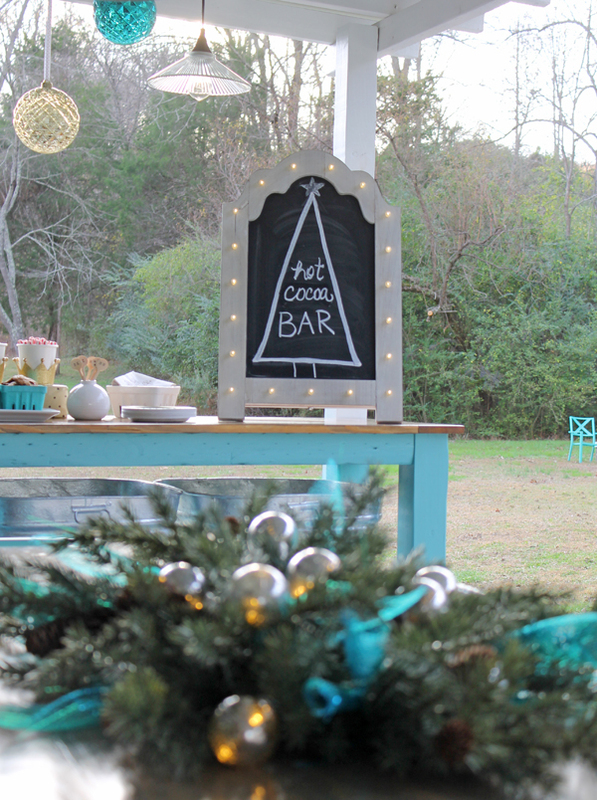 What a fun setting for a Christmas party! I love checking out your ideas on your blog! I love the teal! I am in the process of working on my Coffee, tea, & cocoa bar. The cabinet is teal. I just purchased some items from Kirkland’s. You have given me so many more ideas! 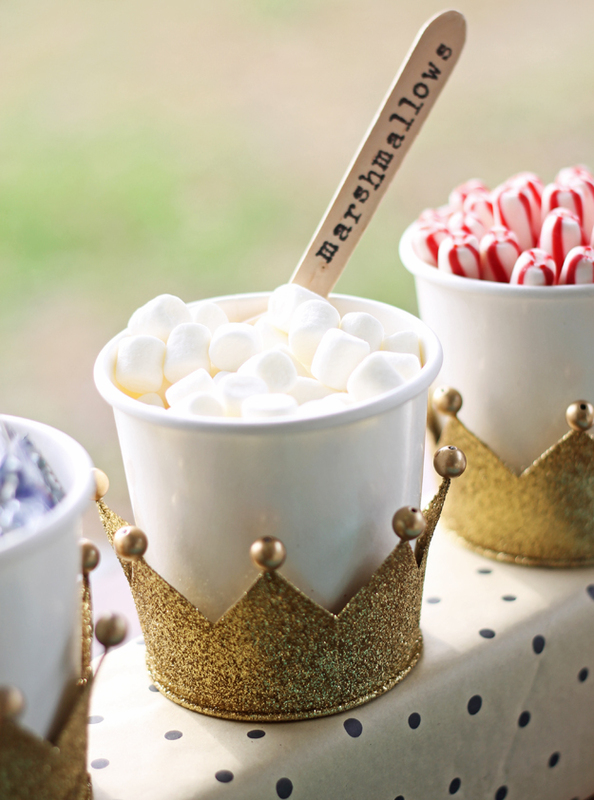 I love the idea of a hot cocoa bar! It sounds so warm and cozy right now!